Michio (Kyoko Fukada) is 30-years-old. She keeps looking for a job after her previous employer went bankrupt, but she is unable to find work. Michio still supports her younger boyfriend and her savings is almost gone. Then, Michio meets her ex-boss Ayumu (Dean Fujioka). She was scared of Ayumu when they worked together. Ayumu now runs a tearoom which his grandmother ran. 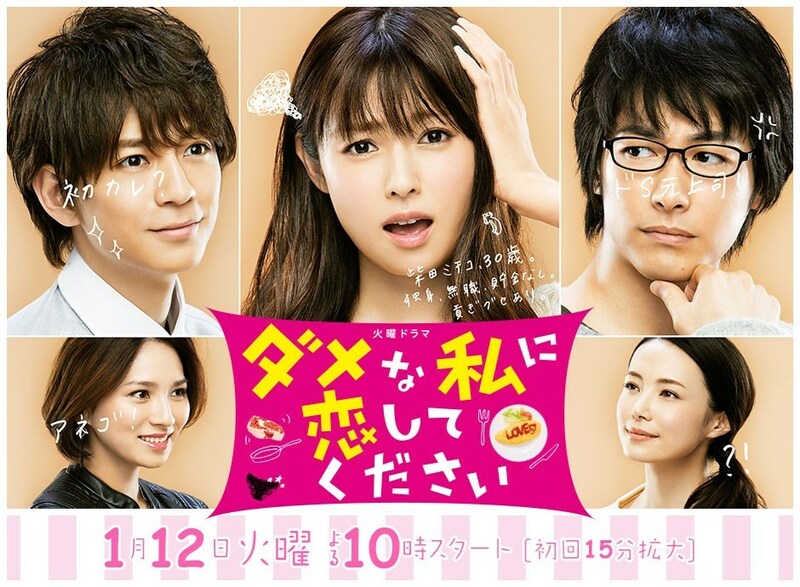 Michio decides to work part-time at Ayumu's tearoom, there, she various troubles everyday. Ayumu helps Michio, which allows her to see a different side of him that she never noticed before. A short simple love story, but more than romance it felt like it was a life lesson. Like ‘Love yourself first, so others can love you’. It didn’t have the heavy feeling or anything, but that’s what Japanese dramas are best at, having to deal with life-problems and still manage to make it bearable and enjoyable. The cast were well picked and definitely had character growth throughout the drama. I definitely enjoyed this drama, and recommend to all.